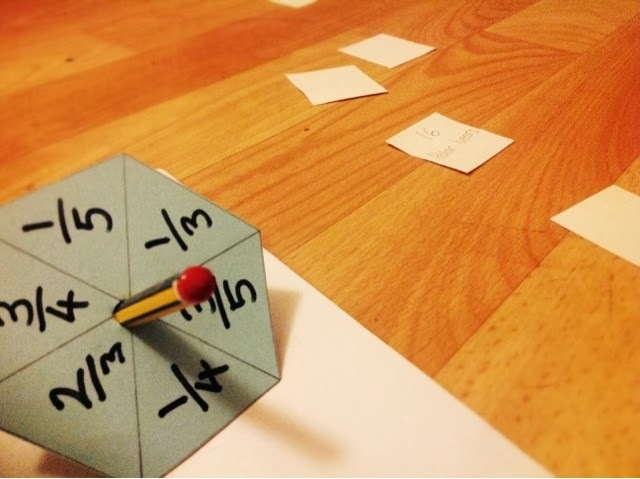 My older two weren't too interested in the Lego Fractions game I made the other day so I scratched my head and thought of a new one. All my girls are animal crazy so I came up with this Zoo animal Fraction game. After trying it out once my 9 year old loved it so much that she just wanted to play it again and again and again! I thought I would put it on here with Free PDFs to make it easy to put another game together and so all of you can have a go too! First cut out 16 cards 4 - 5 cm squared or print out this free PDF file I made: zoo animal cards. 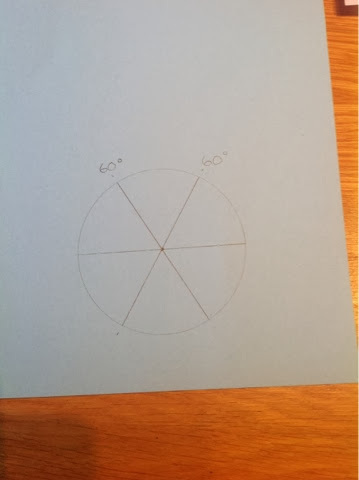 The write a different fraction on each of the 6 segments you have made, like the above photo. 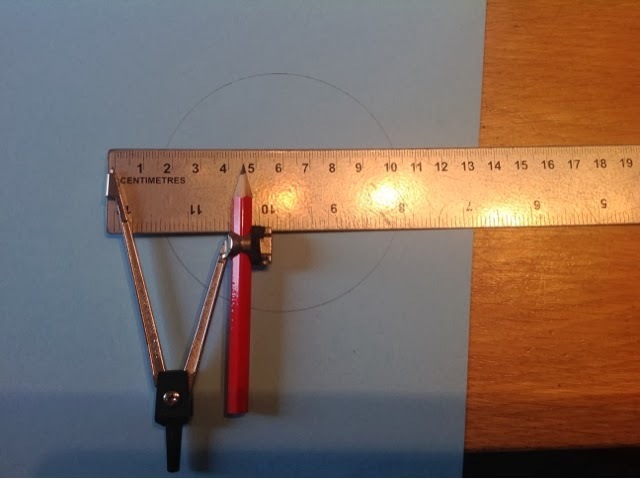 When you have made your spinner all you need to do is push a short sharp pencil though the centre. Now you are ready to play the game. So here are the rules! 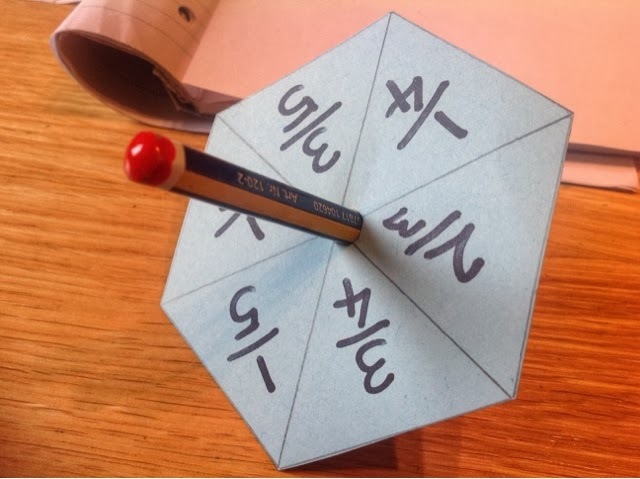 To begin the game - Each player must spin the spinner once to see who goes first. The one with the largest Fraction begins. Place all the Zoo Enclosure cards face down on the table. The first to play turns one of the enclosures over to reveal the animal and the amount of them (the number at the top of the card). The first player must then spin the spinner. The fraction it lands on is the fraction of the enclosure they turned over that they have to work out. If the first player gets the answer right they keep the card. If it is incorrect or not a whole number answer, play moves to the next person and they must then do as the first player done. The WINNER - the winner is the person with the most cards, Zoo enclosures, at the end! While playing this game I took to chance to talk about the denominator (the bottom number in a fraction) and the numerator (the top number). then times the answer you get by the numerator. My girls liked to think of it as building up their own Zoo which I thought was an added extra to the game. If there is a draw add up how many animals you have all together and see who has the most. For example if you have 50 Lions and 25 Monkeys you would have a total of 75 animals.